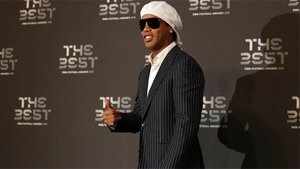 Should Barça ditch their ties with Ronaldinho? Brazil, one of the biggest countries on the planet, will have a new president on Oct. 28, when the second round of election voting ends. The South American powerhouse is in a mess because the leader of the Social Liberal Party, Jair Bolsonaro leads the polls. He is ex-milatary and right wing. In view of his controversial acts and statements, he is considered misogynist, sexist, racist and xenophobic. And what does he have to do with FC Barcelona? The simple answer is that one of his most famous supporters is Ronaldinho, a former Barça player and current ambassador for the club. He has publicly asked for people to vote for Bolsonaro in the Brazilian elections. He's not the only famous sportsman to do so. Rivaldo, Cafú, Lucas Moura and former Formula 1 driver Emerson Fittipaldi have as well. Ronaldinho, like everyone, is free to take whatever position he likes when it comes to politics and to defend his ideas as he sees fit. In the same way Barça may have to decide whether an ambassador for the institution, considering their global brand, fits with the views of the club. And I believe, honestly, that is an employer at Barcelona had said some of the barbarities that have come from Bolsonaro's mouth, they wouldn't last another minute at the club.